That Nigeria is currently in a recession is stale news. Everyday we are inundated with news of what government is doing or going to do to change the present fortunes of the Nigerian economy. Beyond that, the reality of the dreary situation at hand stares us in the face on a daily basis. One of the glaring ways the gloomy economic climate has affected us as a people is the recent spate of kidnappings in the country. Gone are the days when the news of the abduction an individual automatically meant that they belonged to the upper strata of the society. If someone had the misfortune of being kidnapped they had to be a deputy governor, House of Assembly member, wife, child or relative of some high profile politician. But, not anymore. 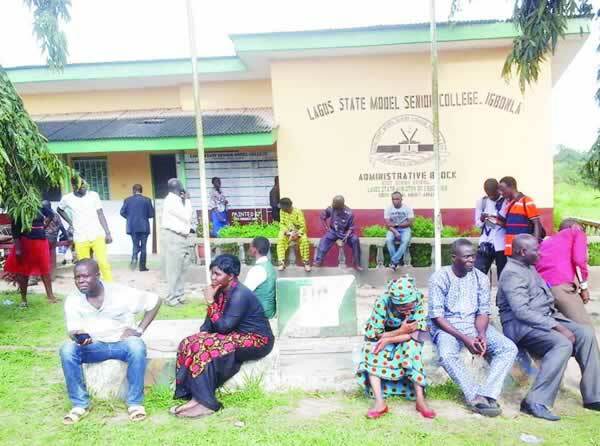 A few days ago, six people were abducted at Lagos State Model College, Igbonla. This included four Junior Secondary School students, a teacher and the Vice-Principal of the school. This latest kidnap episode happened less than six months after three female students were abducted at the Babington Macaulay Junior Seminary School in the Ikorodu area of Lagos. Just last month also, four Landlords were kidnapped, Gestapo-style while they were observing their exercise routine on a Saturday morning, let alone the series of abductions that are gradually becoming the order of the day in areas close to the creeks and waterways. For the discerning observer, it’s obvious that the middle class who used to feel some level of safety before now have fast become prime targets for kidnappers, and evil doers in general. I attended one of the first Lagos State Model Colleges, and can say with some degree of exactitude that most of the students who attend the school are from middle class homes. Indeed, a good percentage of parents who have their wards in the school are civil servants. It’s no secret that workers in the civil service are not exactly the highest income earners, especially when compared to many of their private sector counterparts. And so it’s quite befuddling that these category of people have to worry about the safety of their children, when all they are trying to do is get them a good education on a reasonable budget. Only recently too it was reported that school kids on their way to school had their lunch boxes snatched by hungry youths in Minna, Niger State. In another recession-induced trend, we heard how pots of food “taking flight” from cooking stoves in Ilorin became a daily occurrence at some point. That’s what happens when poverty pervades the land. People become increasingly desperate as a typical response to the unfavourable circumstances, which leaves everyone unsafe. Even before the recession, life has never been easy for the middle class. The poor look up to you; and no matter how much you try to make them realise you’re only a few absent pay cheques away from being like them, they never understand it. The rich on the other hand have mixed feelings towards you. On one hand, they look down on you, because to them, you’re just a “wanna be” who won’t accept you’re poor. On the other hand, they believe you are doing well for yourself, and are not likely to extend a helping hand to you because a part of them is wary of you being ambitious enough to actually be like them despite your challenges. It’s a lot like being the middle child in the family; you don’t get the respect and responsibility that automatically accrues to the first child, yet you are never pampered or let off the hook easily when you don’t live up to expectations like the baby of the family. The middle class was gradually thinning out before, but is almost non existent at the moment. As the economic situation bites harder many parents have been forced to withdraw their children from the school they attended previously to less expensive ones, with some withdrawing their kids from private schools to public schools. In terms of job cuts also, the middle class have been the most affected as organisations simply cannot afford to pay them anymore. The rich usually have their own thriving businesses, or can at least fall back on some family fortune should things as much as threaten to go South, and so are never really at the risk of losing it all. The poor are either totally jobless, artisans or casual workers who also stand little risk of being laid off when company’s are looking to downsize. But not the middle class. They are the first to go when things go awry. More often than not it’s the people in the middle class who get robbed in traffic while commuting to and from work in their second-hand cars, it is they who are harassed by beggars and hoodlums on the hungry streets. The rich have ways of providing adequate security for themselves. And even when some brazen gang are able to successfully abduct the super-rich, they are released in no time because paying a ransom is no big deal for them. Case in point is the recent abduction and subsequent release of the wife of the Central Bank Governor who regained freedom within 24 hours of her kidnap. Thankfully, the kidnapped staff and students of Lagos State Model College Igbonla have been released. But, who’s to say that there won’t be a repeat of the same sort of incident in another part of town some time soon? As things stand, security of lives and property remains a myth, and an overwhelming percentage of Nigerians look to providence for their protection. For the extremely poor, there’s no where to go but up. They have nothing to fear. Things really can’t get worse for them, it’s just the law of nature. For the rich, yes, they may lose some money in these times, but some family heirloom, cash stacked in some obscure Swiss Bank, or even their immense connections to their fellow high and mighty will always ensure they are sorted. But for the man in the middle, he is on his own. Even when he manages to pull all his resources into creating something he can be proud of, the government seems determined to ensure he doesn’t succeed. His office building is declared illegal and pulled down all of a sudden, as was the case with Nuli Juice recently. People in the middle class are in constant fear of poverty. They live from one pay cheque to the next, and a job loss instantly spells doom for them. They probably already live on loans. Car loan, housing loan, cooperative loan and the rest of them. They cannot resign to fate like the poor because they know they can actually “make it” one day. Yet, they also know all too well that breaking into the upper class circle may just remain a mirage. It’s the curse of the middle class. The one with all the hope. The one with majority of the troubles too. Hello everyone. My name is Ololade Ajekigbe, the blogger behind Lolo's thoughts. I urge you to embark on this journey with me. Cheers! PreviousPrevious post:Who Really Belongs In The Kitchen?NextNext post:Who Makes These Rules Anyway? I believe the change we were clamouring is not to see the government improve things but the reality that the Nigerian government from the dawn time hasn’t been capable so it’s either we make things happen or we wait on government and see the economy crumble the more. On all these berserk things happening to the middle class, someone told me, Nigerians would start eating themselves if things don’t improve. I hope that doesn’t happen. We have begun to “eat” ourselves, honestly. One only needs to look around to see the proofs that stare us in the eye everyday. As always, thanks for you immense contribution to this blog Kunle. Enter your email address to follow Lolo's Thoughts and receive notifications of new posts by email.